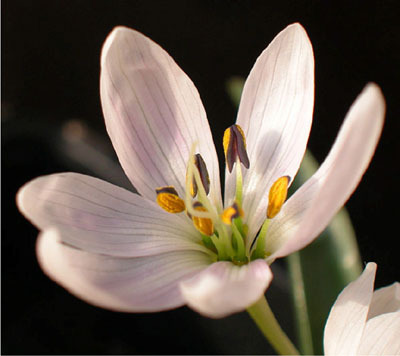 Mention Colchicums and most people think of Autumn Crocus to which they are no relation. 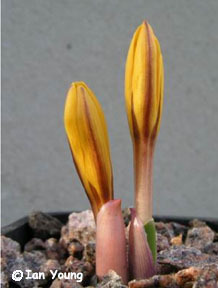 Most gardeners are familiar with C. speciosus and C. autumnale. Both are available in many forms especially C. speciosus. Less well known are C. byzantinum, variegatum and agrippinum. Crocus are in the family Iridaceae that includes Iris, Crocosmia and Gladioli. 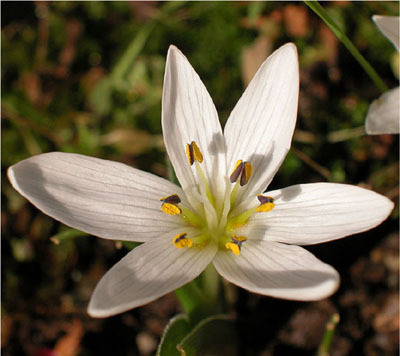 Colchicums are Amaryllidaceae, which includes Galanthus, Leucojum and Narcissus. 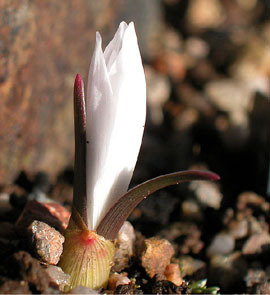 Most gardeners are not familiar with the winter flowering Colchicums. These are much smaller than their large, late summer / autumn flowering relatives that appear without leaves. 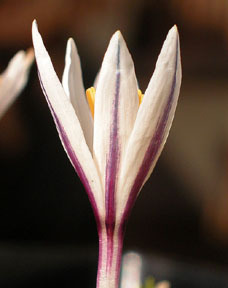 Winter flowering Colchicums flower with leaves present. These plants are suitable for troughs and pot culture but watch out for slugs that will eat the flowers as they appear. Wherever they are grown about 50% drainage is important, with the addition of some leaf mould. The ‘bulb’ should be planted about twice its height. In bulb frames try to grow them in 1 litre 'long tom' pots. 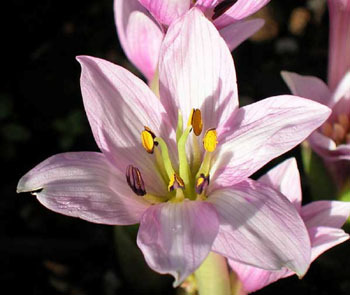 Colchicum kesselringii from central Asia is the only one to have striped flowers. 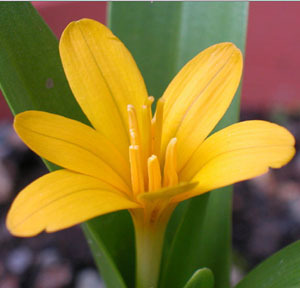 Colchicum luteum is also from central Asia, and Colchicum kesselringii x luteum is found where they occur together.